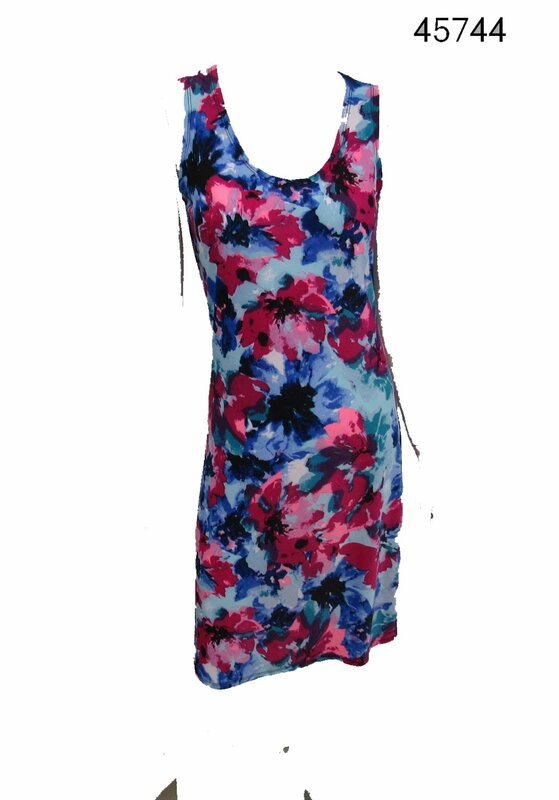 Cool and comfortable stretch knit, a blossoming floral print and a fluid silhouette that finishes with an asymmetrical hemline. 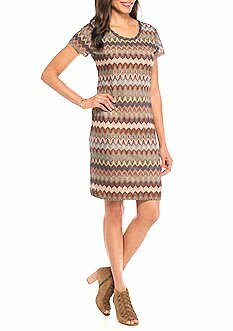 This sweet three-quarter-sleeved B-Slim dress features a flattering crisscross front and slimming lining to create a smooth silhouette. 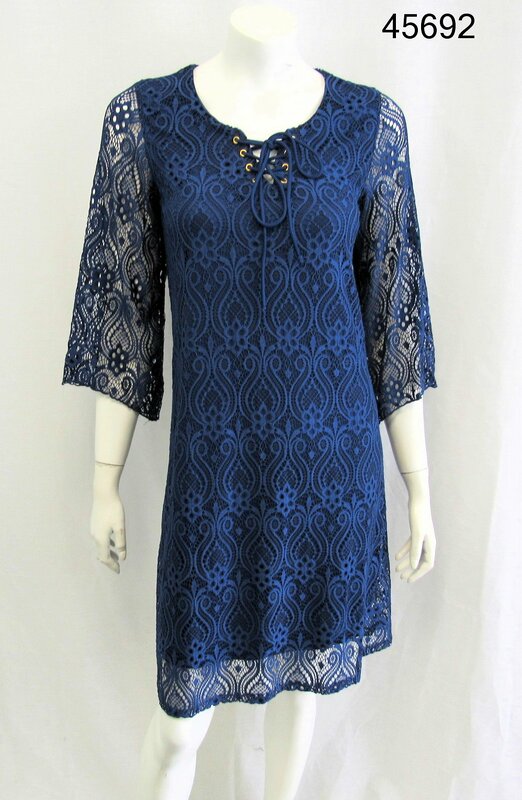 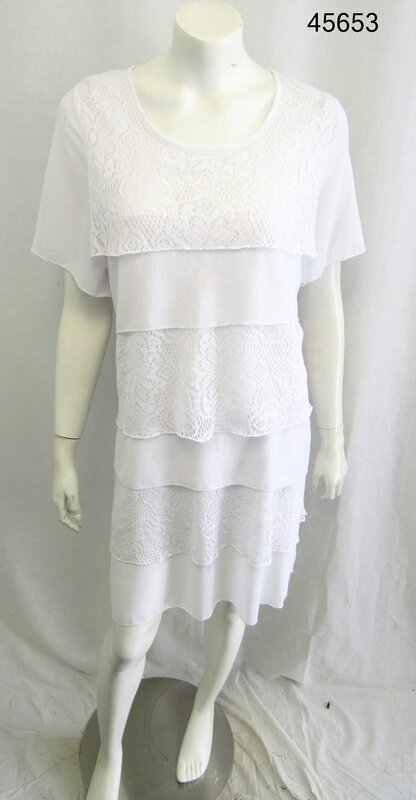 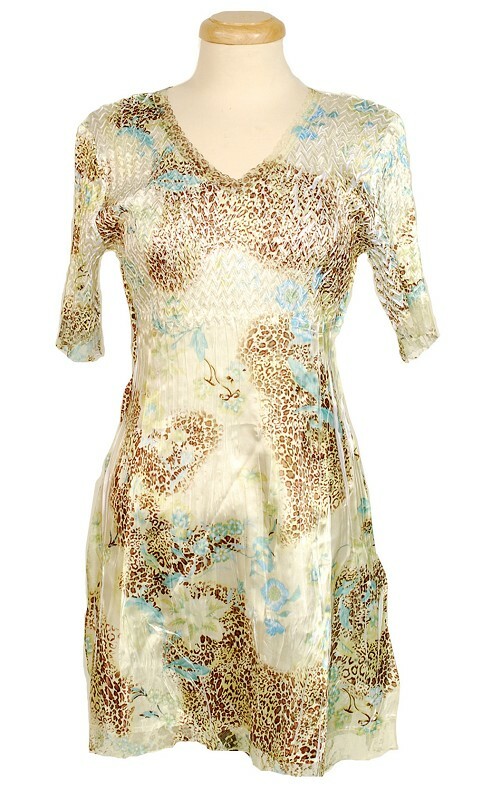 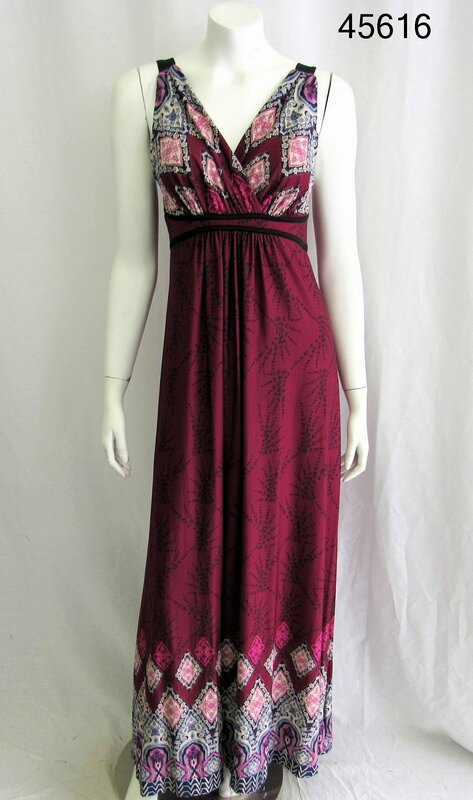 A pretty print, dainty crochet trim and a faux-wrap silhouette come together on this gorgeous dress from NY Collection. 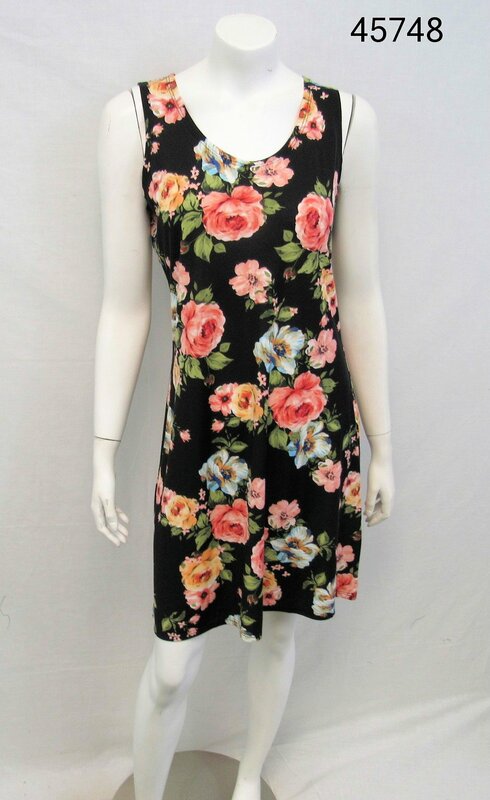 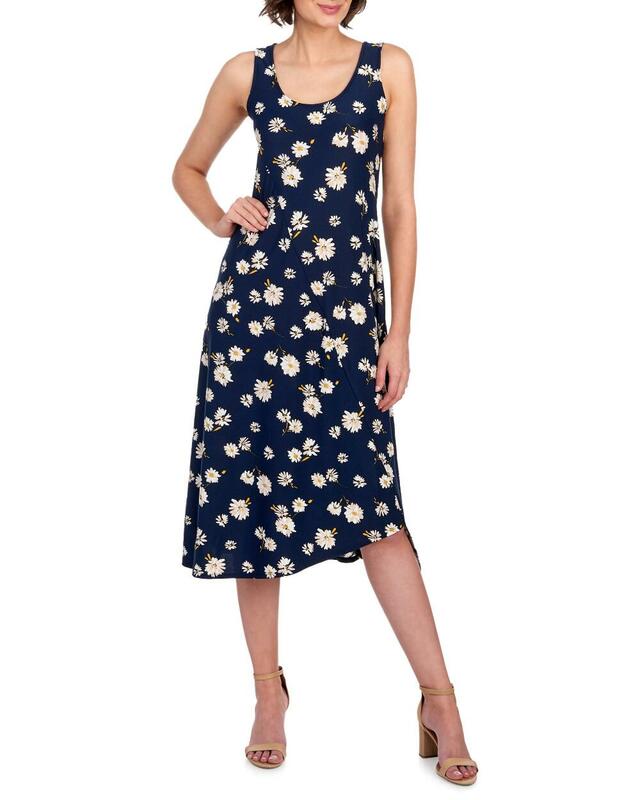 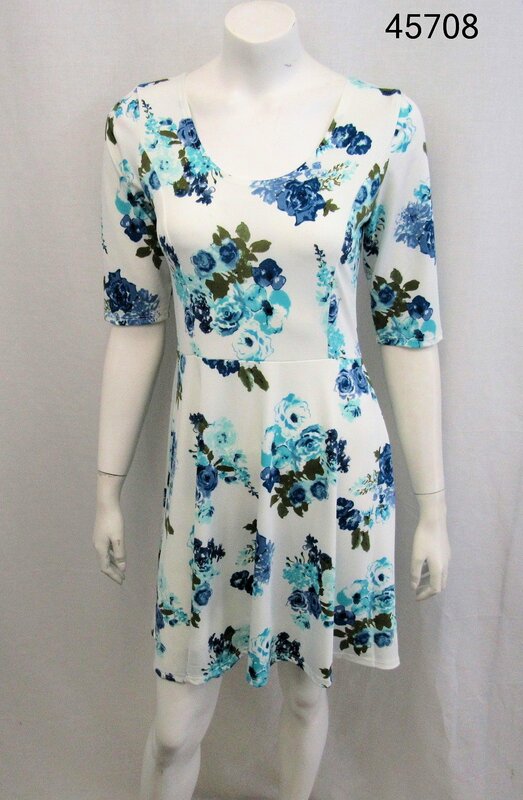 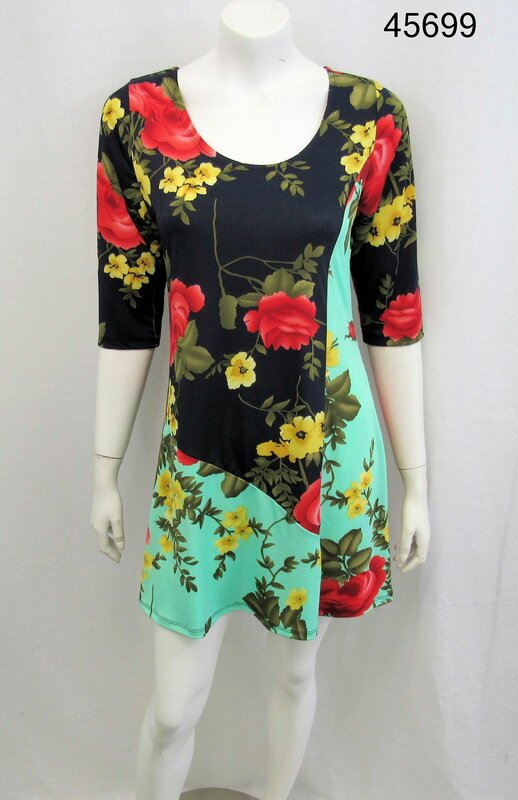 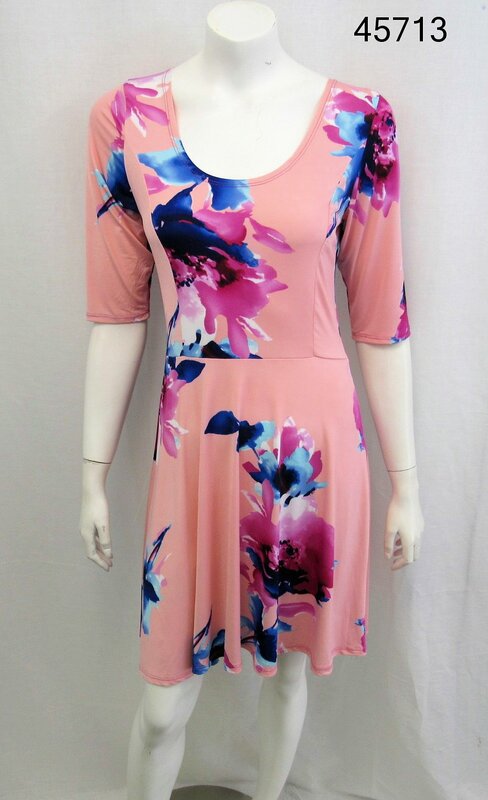 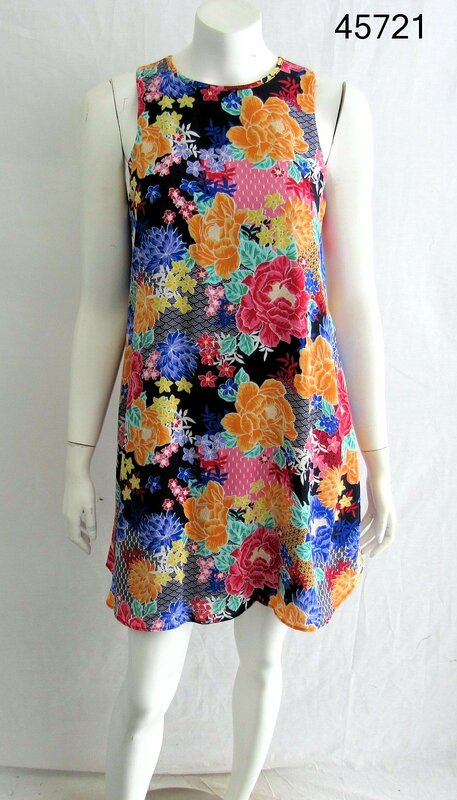 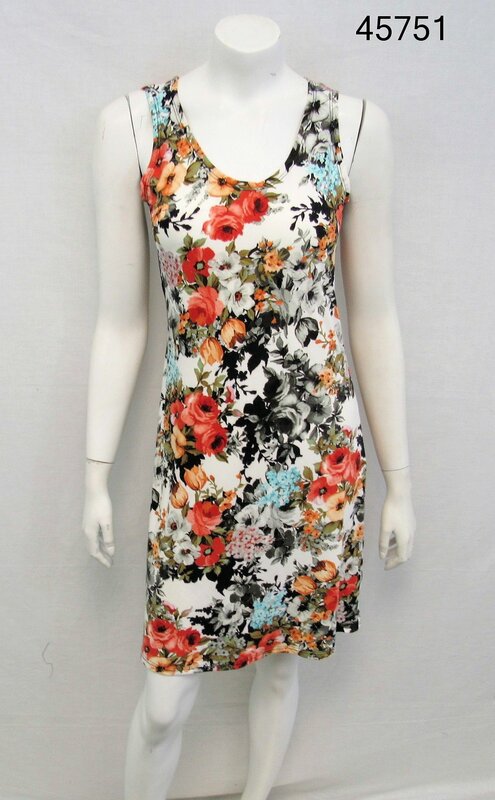 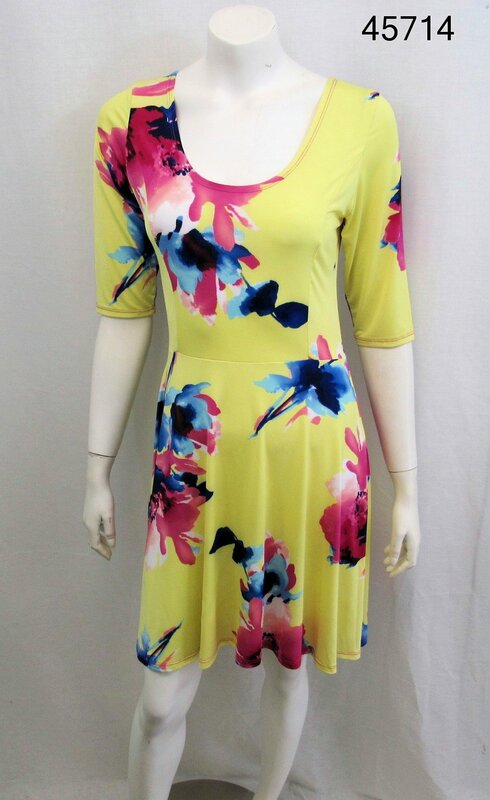 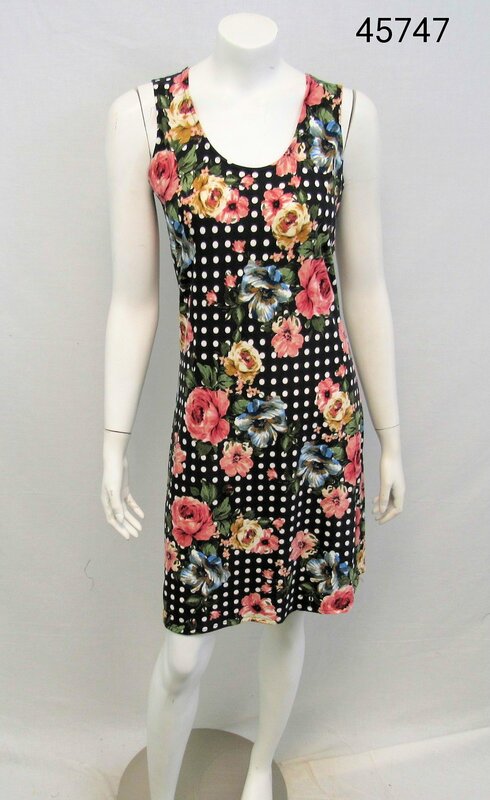 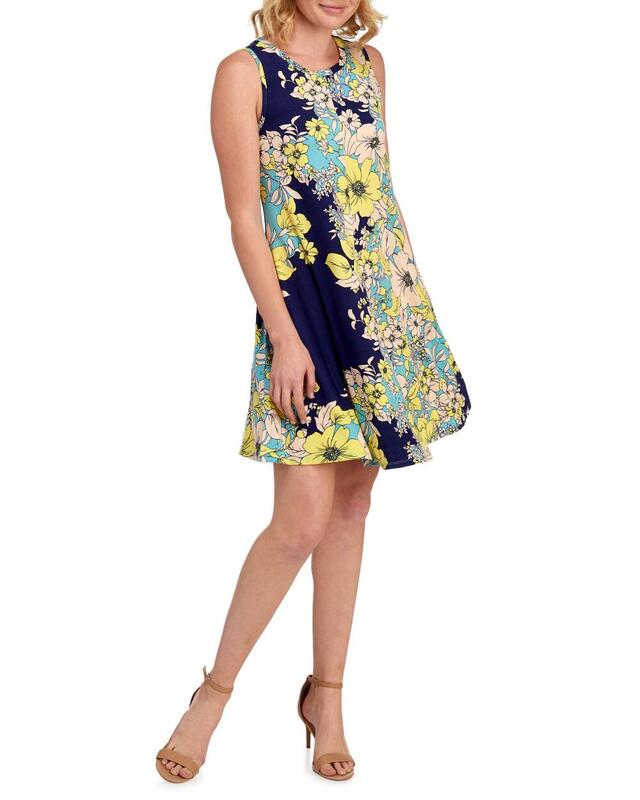 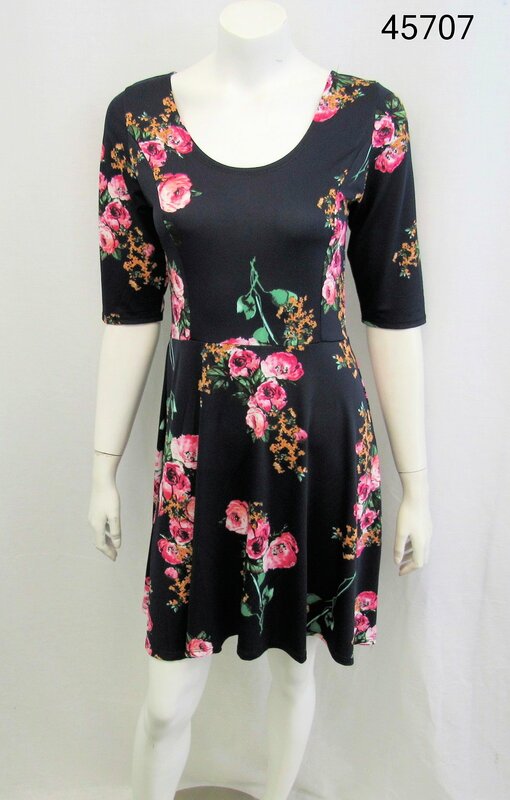 This pretty floral knit tank dress from Cupio is styled in a swingy trapeze silhouette. 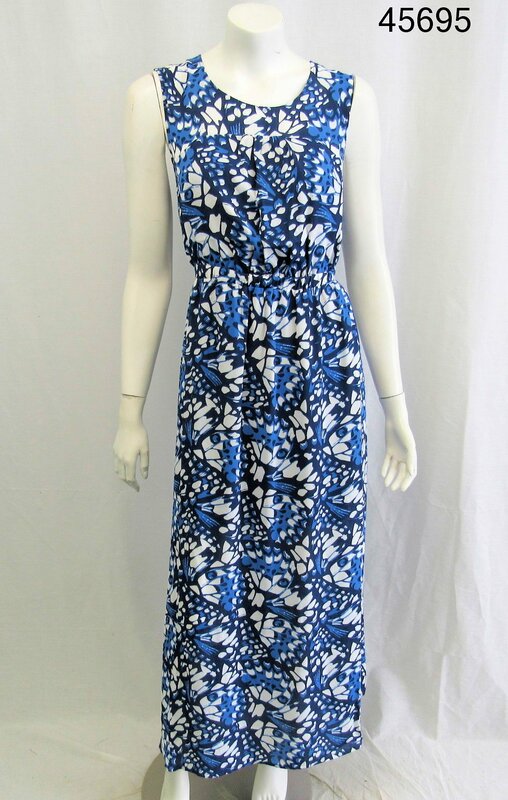 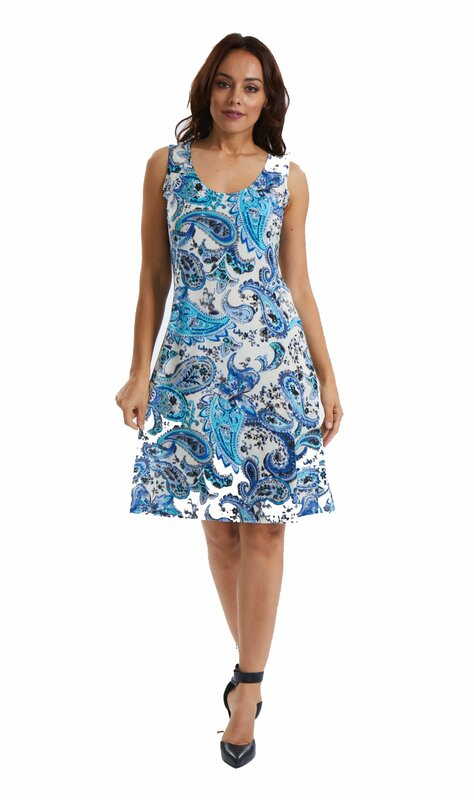 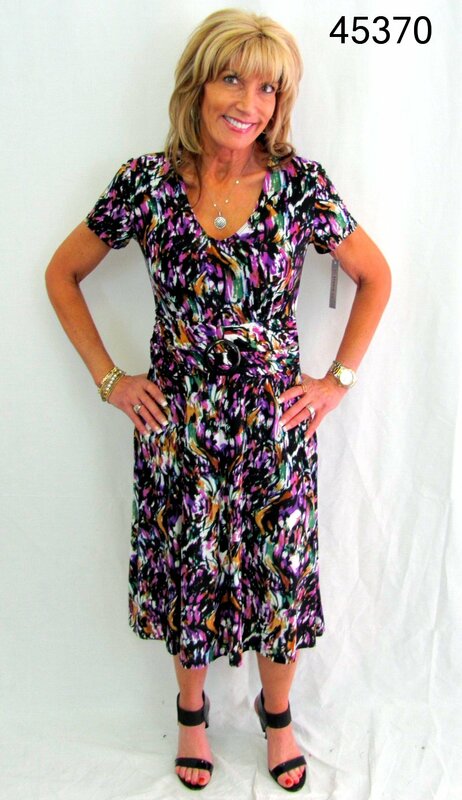 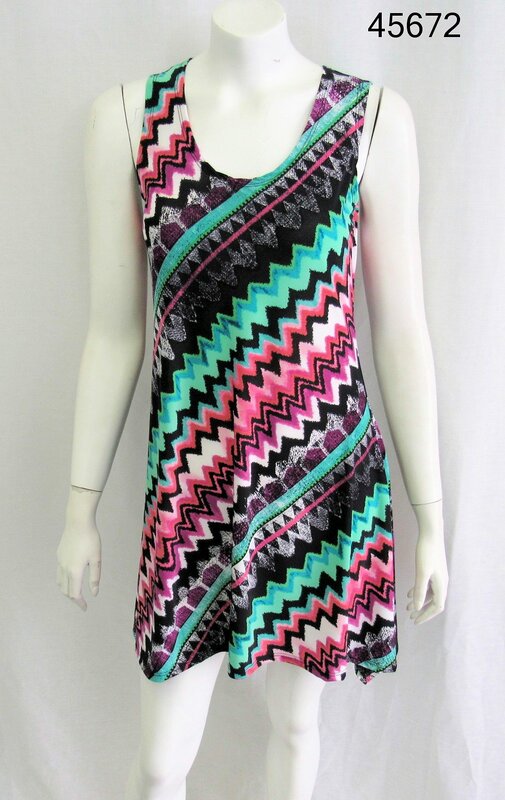 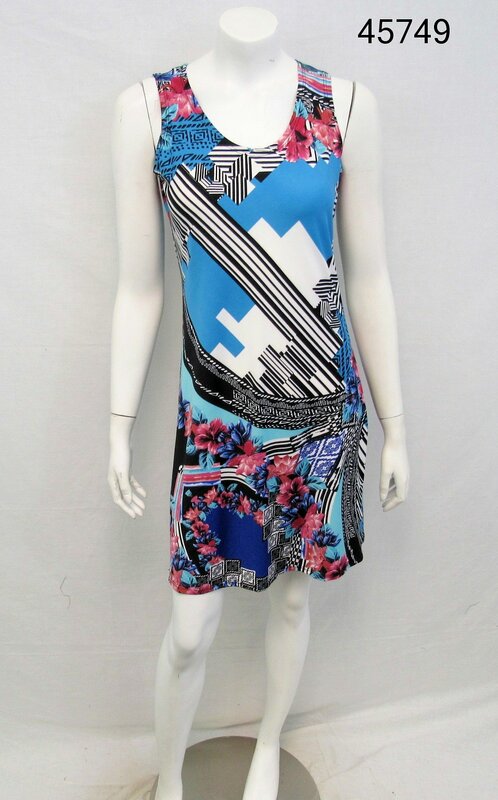 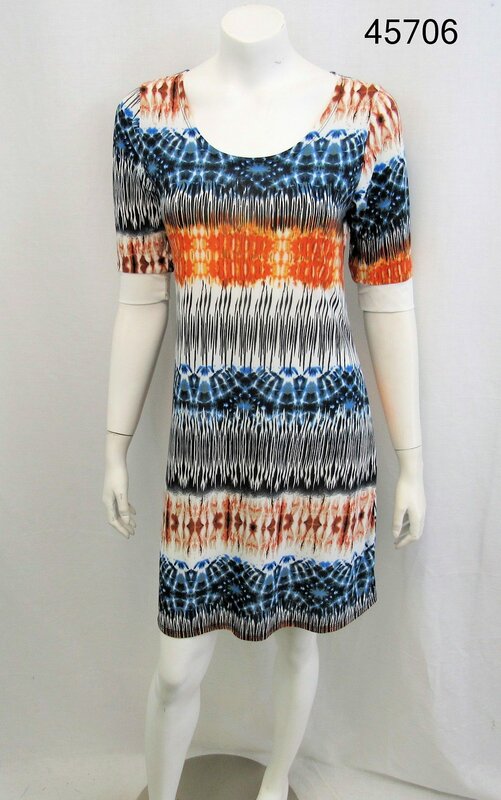 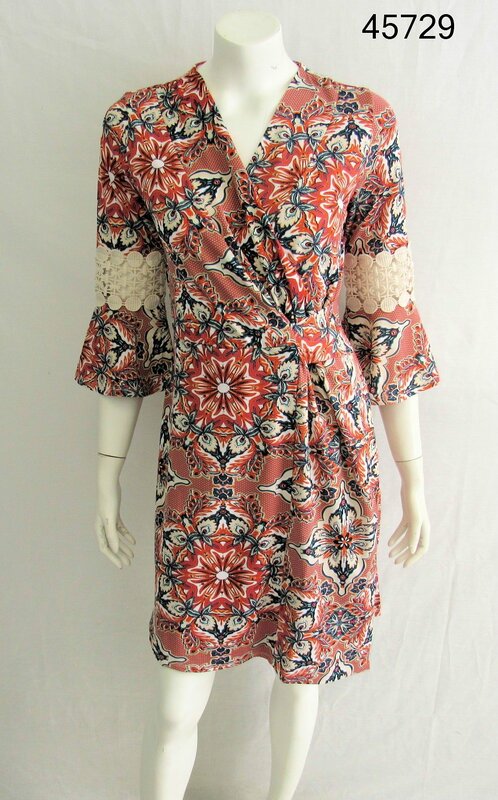 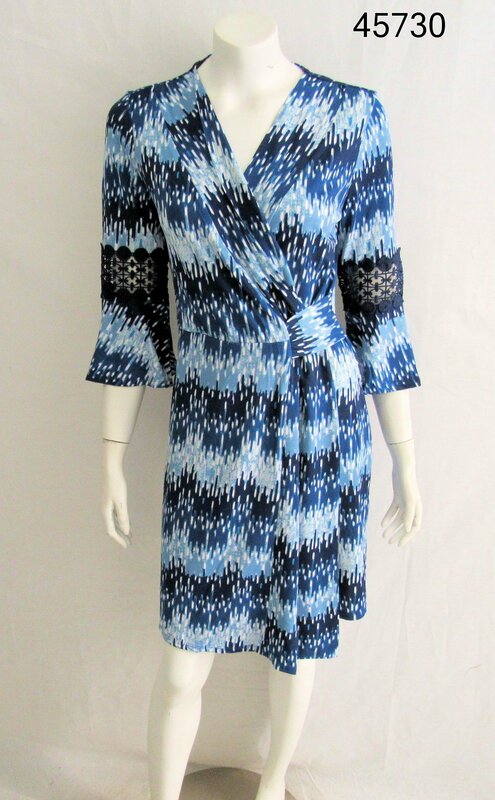 A knee-length, sleeveless dress with a unique, abstract print. 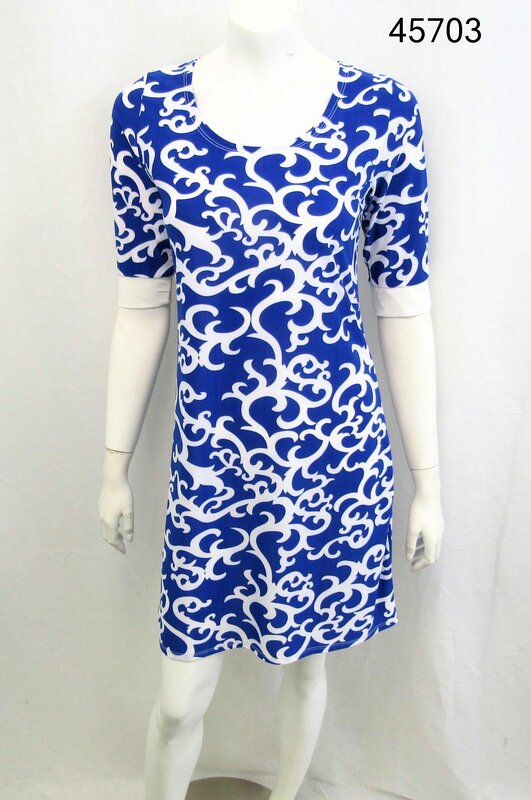 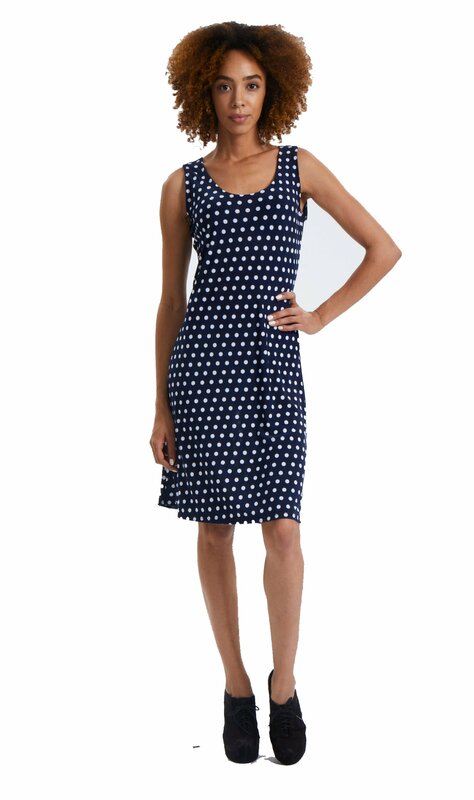 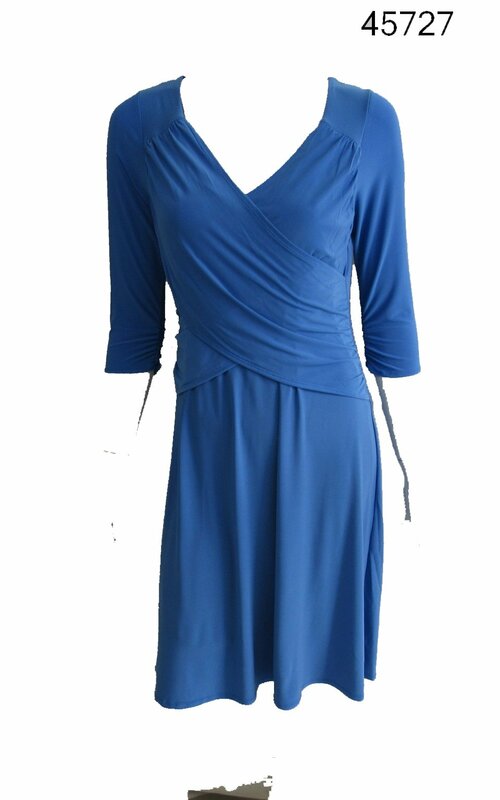 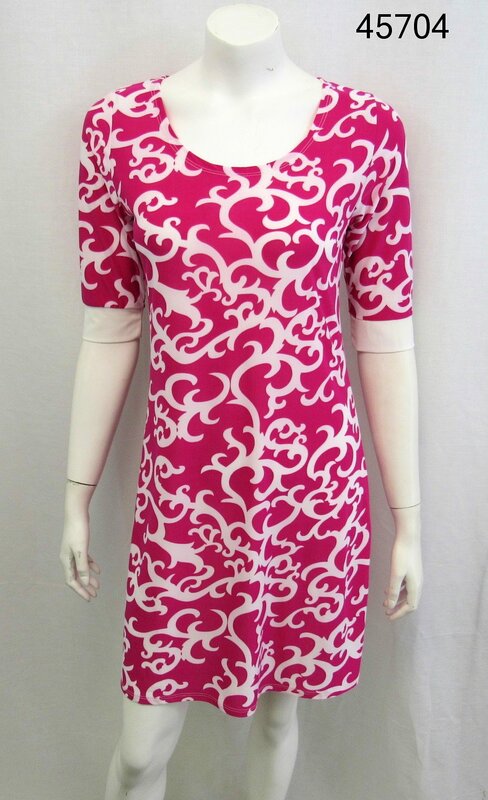 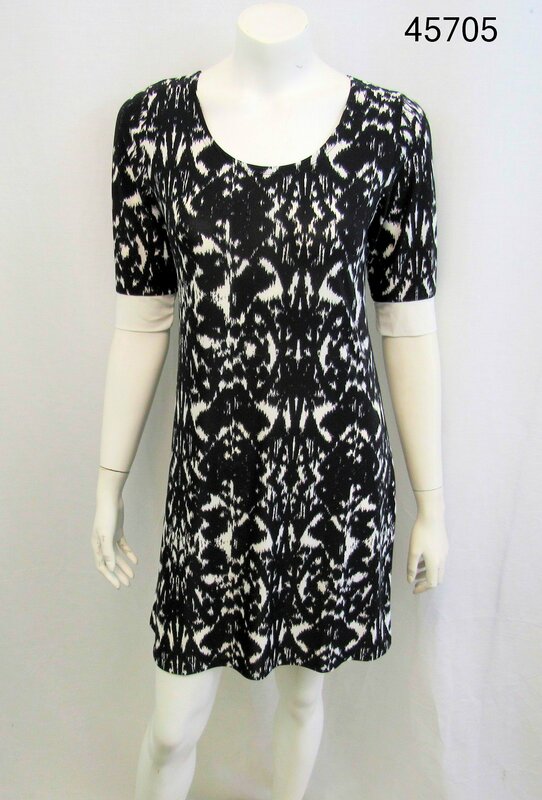 Featuring a crinkle effect, this dress gives a stylish look and relaxed feel.